What do you feel is the most unique feature of a Tidewater Inn wedding? 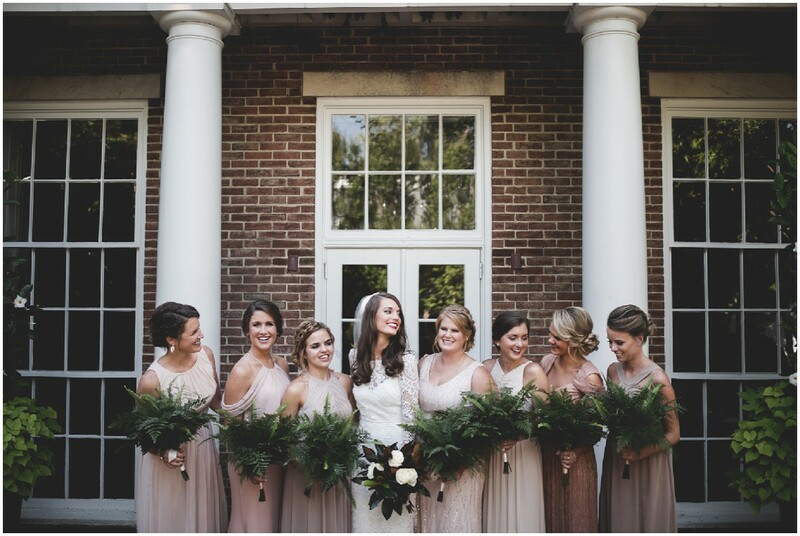 I feel like the rich history of the Tidewater Inn is one of our greatest features and has played a big role in attracting brides to Easton for their wedding celebrations. In the almost 70 years that the Tidewater Inn has been here, we have had thousands of celebrations—I have held weddings for couples whose parents were married here 30+ years ago. Their parents have brought their own wedding albums for all of us to enjoy! I have also couples who attended a wedding here as a child, or remember coming to special dinners in the Crystal Room with their grandparents. 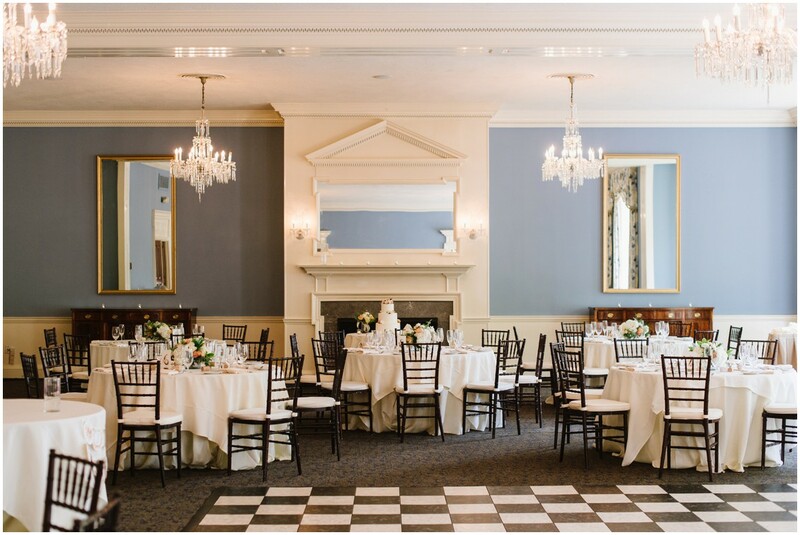 Our unique spaces offer so many location possibilities to incorporate into your event: The Gold Ballroom and Crystal Room, a sailcloth-tented Gold Room Garden pavilion, a private Garden Courtyard, as well as smaller spaces for rehearsal dinners and post-wedding brunches. Our onsite restaurant, Hunters’ Tavern, is also great for guests as it is open 7 days a week for breakfast, lunch, dinner and happy hour! I know many of our local regular diners make dinner reservations so that they can coincide timing with seeing a bride on our grand staircase on Saturdays. Our on-site salon, Studio 2, has been a great asset. They take very good care of my brides and bridesmaids on their wedding day, not to mention the convenience! The fact that you can have all your guests stay here, as well as celebrate all events on-site, is definitely a contributing factor when couples are deciding on wedding venues. 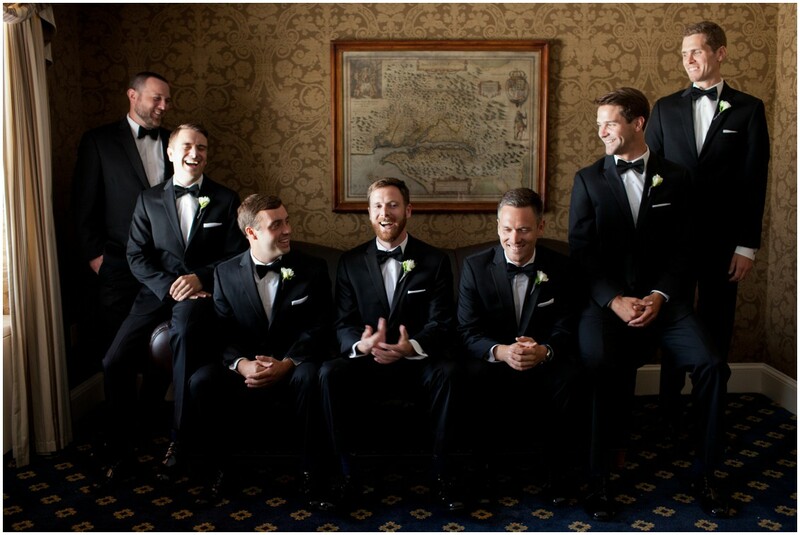 I always tell them that they can do as much or as little entertaining as they want; guests have plenty of things to occupy their time and the bride and bridesmaids can still have their day of getting ready together without having to worry about what their guests have to do with the pre-wedding part of their day. What do couples tell you that made them choose The Tidewater for their wedding? Couples tell me they’re are looking for a “one-stop-shop”—they want everything in one place or within walking distance. Most of my couples are looking for a “mini-destination” style wedding with multiple events taking place over the course of a weekend. Of course, we love our couples to host all events on-site, but many of them plan rehearsal dinners, welcome parties, or after parties at our local restaurants and bars in town. The plus side to holding a mini-destination wedding is that couples get to spend more time with friends and family than they would with a venue where they have to pack up and leave when the event ends. 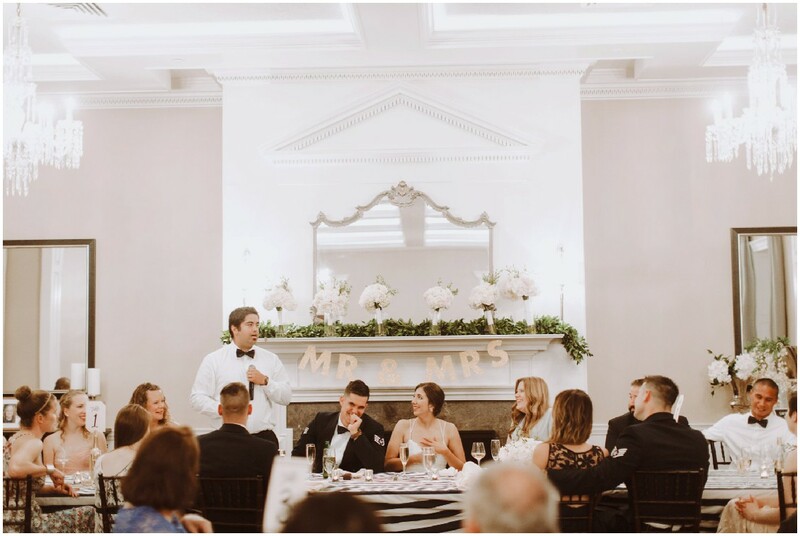 Couples also appreciate our on-site coordinator/planner who helps them with menu choices and timelines, and a team of staff—housekeeping, front desk, restaurant and banquet—on the day-of whose goal is to meet their every need. Another unique feature of the Tidewater Inn is that we have some pet-friendly hotel room—some couples want to incorporate their fur-babies into the wedding weekend! I know as a crazy dog-mom myself, that this has been a much appreciated feature and why some brides have not looked anywhere else! The town of Easton is another great attraction and has a lot to offer—besides the great bars and restaurants, there are charming shops and the historic Avalon Theatre which brings in national acts, is literally across the street. If they want to incorporate some water activities into the weekend, St. Michaels and Oxford have a lot to offer and only a short drive from the hotel. I have had couples host their rehearsal dinner on Patriot Cruises or at the Chesapeake Bay Maritime Museum to incorporate some waterfront photos into their weekend. Do you have different price points? How flexible are you with your couples? We have different food and beverage minimums for different months of the year, and even days of the week. This gives us the ability to customize for smaller weddings as well. It’s not unusual for us to have a few weeknight weddings a year! We also have a great wedding brunch menu we’ve created and with a lower price point, and have had rave reviews on the food. We have an excellent culinary team here with Chef Daniel Pochron, who is always on board for doing custom items. We have done Roasted Suckling Pig for a Vietnamese wedding, Spam Musubi (yes—Spam!) for a Hawaiian-themed rehearsal dinner, and even a grandmother’s personal recipe for Lumpia Egg Rolls for a late-night snack. Can a couple choose their favorite vendors for their Tidewater wedding? Couples can choose their own vendors for a Tidewater Inn wedding, however, we do provide a list of preferred professionals. These are vendors whom I have worked with, (some for close to 20 years! ), and I know they will show up on time, be professional, keep all facets of the event running smoothly, and take great pride in doing so! What’s one of your favorite wedding day stories? You just never know what you will encounter when you walk into the Tidewater Inn on a wedding weekend! We have had the Oriole bird here as the ring-bearer, which the groom orchestrated under top secrecy! The UMD mascot, Testudo the Turtle, has also made appearances here in the past. A father of the bride last year had some good family friends that are part of a nationally-recorded a cappella group, 4PM. They started off singing in the lobby on Friday and Saturday as guests were checking in, and regaled the Tavern guests with special pop-up performances all weekend long! People walking by the hotel were coming in off the street to watch and listen and it really was a special treat for all! Since we just experienced the threat of Hurricane Florence, it brought to mind another Hurricane wedding that was held here about eight years ago. The weather got so bad that no one could leave that evening, so we set up air mattresses in our Crystal Room for our staff and the band, as every hotel room was full. The poor 8-month-pregnant photographer had to sleep on the couch in the Library (she still reminds me of this whenever I see her)! I remember walking into the Tavern the next morning, and there was the wedding band eating breakfast, still in their tuxedo shirts. All in all, the event went off without a hitch—but it definitely took a village!